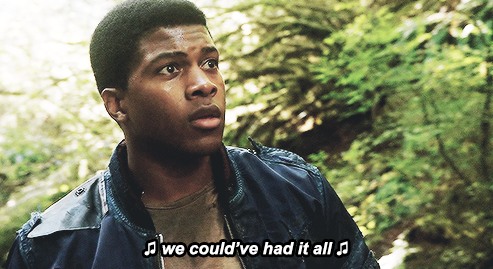 Watching The 100 last night, in between all of my gasps and squeals and general loudness because I freaking love that show, I was reminded of a fact that I've held to be true for a while: Wells Jaha really shouldn't have died. Wells Jaha should not be dead. And the story has suffered because he is. For those of you who are utterly baffled, let me explain. The 100, like I've gushed before, is a CW show currently airing that's based on a book of the same name by Kass Morgan. It's set in a post-apocalyptic world, where the human race was nearly wiped out by a nuclear war almost a hundred years ago, and the main survivors of that war were the people living on space stations in orbit. Those space stations came together to form The Ark, and since then the people of The Ark have been trying to find a way to go back to the ground. Their biggest problem was that the ground was still soaked in nuclear radiation. At the start of the series, though, they've decided to see if people can live on the ground anyway. The Ark's life support systems are failing and they don't have much time left, so they send one hundred juvenile prisoners down to Earth and monitor their vital signs in the hopes of discovering whether or not it's survivable. The answer? Yes and no. I mean, it's not going to kill you with radiation, but there's plenty of other stuff down here that can kill you just as well. Grounders, Mountain Men, Reapers, radiation crazed wildlife, acid fog, horrible hurricanes, starvation, infection, disease...and that's just the first season. Bellamy Blake, on the other hand, is neither a prisoner nor a member of the Ark's elite. He's a janitor who shot the Chancellor and snuck onto the drop ship going to the ground. The reason he did all of this is because his sister, Octavia (Marie Avgeropoulos), was one of the juvenile prisoners being sent down. Her crime being her very existence, as all families on the Ark are only allowed one child. The dynamic between Clarke and Bellamy, who have radically different views of the world and humanity but somehow work really well together, is the subject of my first article on this series, actually. 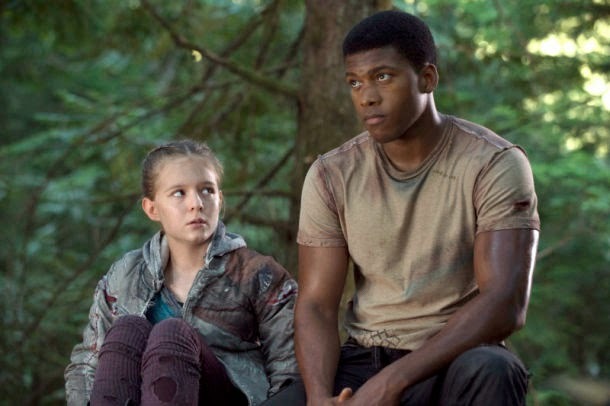 Wells Jaha (Eli Goree), meanwhile, is also introduced as a main character. 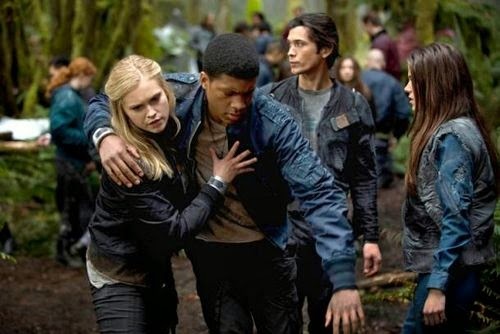 He's the prince to Clarke's princess: the son of the current Chancellor on the Ark (Thelonius Jaha, played by Isaiah Washington), he and Clarke were childhood friends until they had a severe falling out right before she was arrested. The reason is unknown for like half an episode, and then it's revealed that Clarke blames Wells for her father's death and her incarceration. She's absolutely sure that Wells is the one who told his father about their plan. And Wells doesn't deny it. Clarke can rail and rant at him and all Wells does is take it. Even when they're trapped in an abandoned car while they wait for the acid fog to clear and Clarke gets drunk on old whiskey and screams at him for literal hours, Wells says nothing. He just takes it. He's in love with Clarke, yeah, but he's also clearly a really good person. A born leader. He thinks things through, he contemplates the important details, and he tries to make sure everyone is taken care of, even when they blatantly hate him. And they do, for the record, hate him. Literally everyone on the ground hates Wells' guts because his father was the one who sentenced them to die here. His father is the one who had their mother/father/friend/etc executed because they broke some stupid rule. His father is the one who sentenced them to spend their youth in jail. His father is no one's favorite person, and so Wells isn't either, because he's the one they can reach. So for three episodes we get to see Wells as this really compelling character. He's brave and generous and wonderful and kind and everyone despises him. Eventually we even find out that he wasn't the one who told his father about Clarke and her dad's treason. But he's taken the blame for it because he knew that Clarke would be happier if she could blame someone. He's literally that wonderful and amazing. And smart and good at tactics and protective, and pretty much the single best person on the show. So obviously, he dies. In the most traumatic possible way, too. She sees Chancellor Jaha's face in her dreams every night and she's tormented by her memories. A sweet girl, but definitely one with some issues. Clarke tries to teach her about moving on with her life now, and Bellamy tells her to slay her demons (metaphorically). But Charlotte takes those two pieces of advice and turns them into the worst idea ever: killing Wells so that she can sleep. She does. She kills him. It's horrible. She just slips a knife in his neck, sobbing about why she's doing it, and then Wells is dead. And sure, the following storyline is really interesting, as the kids at first jump to the wrong conclusion and actually hang the wrong kid for Wells' death before being struck by the problem of punishing a genuinely mentally ill child for murder. It's a compelling story arc, but it's also horrible. Charlotte eventually solves the problem for everyone by killing herself. It stinks. I cried. The biggest tragedy for me is that now we don't get Wells anymore. We don't get his character on the show, and that seriously blows. It's a big problem narratively, and it only gets worse as time goes on. The problem is that Wells' death reduces him to a touchstone for the other characters. He becomes a symbol of his father's failure, of Clarke's inability to forgive people, and for Bellamy's failure to save Charlotte from herself. But if he'd lived, he would have had the opportunity to become a character who still stands for all the stuff he stood for in the beginning, and who speaks reason and logic into Bellamy and Clarke when they start to go a little overboard. He could and would be the one trying to make a peace treaty with the Grounders. He's the one who would try to find common ground with the adults on the Ark. Or, he's the one who would have been leading a quiet rebellion inside Mount Weather. Because Wells wasn't there, because he was dead too soon, other characters have had to step in and essentially tell his storylines. So Finn (Thomas McDonell) became the voice of pacifism and peace and common sense, despite that not making a whole lot of sense with how his character was introduced. He was supposed to be the fun, kind of irresponsible guy. And while I get that being on the ground meant they all changed as people, his character does a complete turnaround super early on in the season. Later, Wells would have been the one helping Clarke get supplies, or helping Bellamy strategize. He would have absolutely opposed them torturing the grounder in the drop ship, and his dissent would have made for a much more powerful narrative. 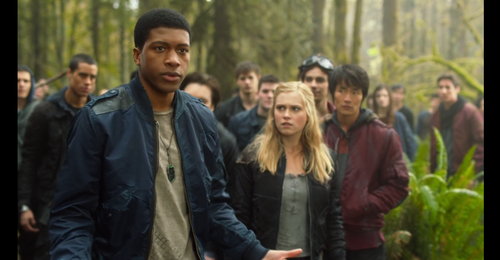 Wells' character fills the holes that exist in Clarke and Bellamy's power structure and narrative arc, and while the story tries to patch that up with Finn, making him the voice of dissent, it doesn't work. Also, with Wells' death, we lose the real opportunity for him to call out his father on all the crap he's done. You just know that after hearing Charlotte's story and the stories of most of the kids on the ground, Wells would have something to say to his father about the way he's ruled the Ark all these years. Furthermore, Wells would take great issue with the choices his father has made since coming to the ground and would probably yell at him a lot over the thing he did in this most recent episode! In short, we missed a lot, not having Wells. And that super stinks. 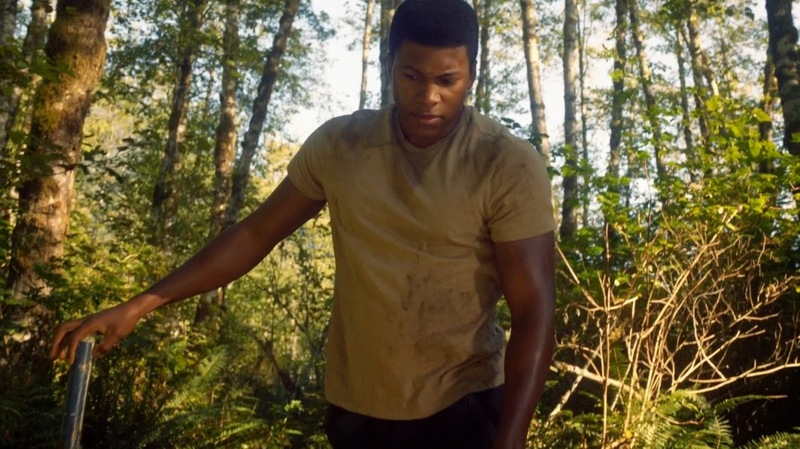 Not just because the narrative has suffered for it, or even because it would have been perfectly possible to pull off that same storyline and just have him in a coma rather than dead, but because Wells Jaha was a kind, generous, wonderful young man, and he was pretty much the perfect stereotype buster for representations of black teenage boys. I'm not saying that John Mbege (Aaron Miko) and Nathan Miller (Jarod Joseph) are bad representations. They're just less developed and less central to the narrative. It was super cool for the first few episodes to think that this was going to be a story where the central decision making team of the show was going to be a woman and two men of color (Clarke, Bellamy, and Wells). Even better, it was really awesome to see that Wells was going to be the one standing for peace and understanding and taking a reasoned approach. Basically the opposite of how black teenage boys are usually shown by the media. But that didn't happen, because he died. Instead, the character who got to be the one "in the right" all the time was Finn, a white guy with a pretty stereotypical and arguably dull view of the world. It could have been much better than that, and I'm not just saying it because I never personally like Finn much. I get that the writers wanted to establish the stakes of the show early on, to tell a really hard story, and to show that no character is safe. But come on. Did we have to kill the black guy first? Seriously? 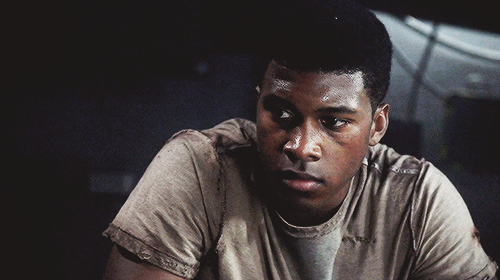 It's Black History Month right now, as I've said all week, and so I thought it was time to talk about Wells Jaha. Not because he's historical or really all that important in the grand scheme of things, but to look at the way things might have been if his character had been allowed to live. To stop for a minute and realize that it didn't actually have to happen this way. Choices were made, and those choices were, frankly, bad. Wells Jaha should not have died and Eli Goree should still be on this show. That's just a fact. It may not change anything to write this now, but I hope that next time you see a story where a black guy dies and didn't have to, that you get mad. That you question it. And that you seriously wonder what would happen if we just let them live. *The Ark's policy is that first time offenses are punishable with death, since space is harsh and there are limited resources. First offenses for minor result in imprisonment in the Sky Box until they turn eighteen, at which time their case is reevaluated and either they are placed back in general population or killed. Fun stuff. **And on the Ark, actually. One of my favorite details on this show is how realistically worn everyone's clothes are. Since the Ark had no means of production, all clothing has been passed down or stitched together from whatever clothes were available a hundred years ago. Every person has only one outfit and those clothes are clearly very old. And before any execution, the condemned take off their shoes and outer clothing so as to preserve precious resources. It's just a really interesting and well done touch. I stopped watching the series after he died. Might watch it again if he is somehow reborn or maybe those people that were already on earth took him. Other than that It's just dumb to kill one of best characters there is. At first i thought the girl was just dreaming or someone else, so i watched till 8th episode (By skipping) then later on found on internet that he isn't coming back so, good way to ruin what seemed as a good series. Word. I don't think he's coming back, unfortunately, and I fail to understand why the writers did that. I checked the source material and he's not dead in the books, so I have no idea what the purpose there was. Grrr. He was my favorite character , and did not understand why the accomplishment killed and especially the way it was . There are characters who were at risk of life and not died , only to kill him? That was pure racism . For it I stopped watching the series after he died. I think you made a solid choice there. For all that I enjoy The 100, it is not nice to its characters of color. Wells had such potential to be an iconic character - to kill him off just completely wasted that potential. I thought that perhaps Eli Goree (Wells) had gotten another job. I've seen actors get killed off on other shows because they got a juicier part on another series. Unfortunately this was not the case here. His death was completely unnecessary and even repulsive. So distasteful. As the author of the blog stated, he could have been in a coma and reawakened during a time of crisis to give the colony some much needed strength and guidance. It made me angry for all the above mentioned reasons and more. Personally I'm hoping that Eli Goree goes on to have a really fabulous and huge career, both because he's talented and because it would be a good "in your face" for the writers who killed him off. 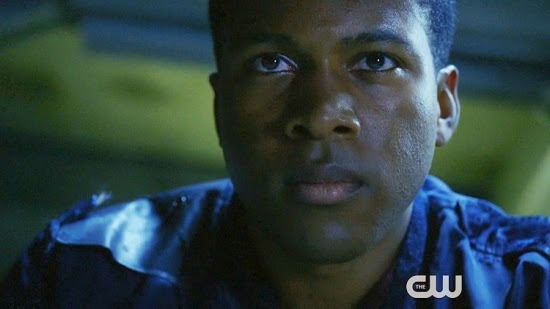 I just watched the episode last night and could not believe they killed Wells off. It reminded me of the way Joss Whedon kills off characters when for some reason the actor pissed him off (Cordy in Angel--Charisma Carpenter apparently got pregnant despite her contract saying she wouldn't). Another example is Prue in Charmed. I never found out exactly what Shannon Doherty did but she was so thoroughly banned from the show they wouldn't even show her in flashbacks. Anyway, the only way Wells's death makes any sense to me is if something came up with the actor, and I found this blog trying to research it. Is it a known fact that it has nothing to do with Goree? Honestly the more you watch the show you realize he was the best character introduced and you'll see inconsistency with character personalities as well as characters who you want to die somehow surviving against the odds... I couldn't finish season 1. Me and my wife just started watching the series on Netflix and we just saw the episode where Wells was killed last night. We were both shocked and extremely disappointed that they killed off Wells (especially only 3 episodes in). He added a much needed dynamic to the show that I can't see anyone or anything replacing and as you expressed in your article, the writers threw a lot of narrative opportunities out the window by killing him off. Right away he was my favorite character and when he died I nearly turned it off. I don't even know if I will continue to watch it now. Another commenter above said that they did not kill him in the book? If that is the case I might just give up on the show and pick up the book instead. It might be a good read. Poor Charlotte. I know she killed wells, but it was tragic to see her go down that path of self destruction. I miss them both. Imagine the stories they could have told with both of those characters. Yep seen that coming its been the same for black characters ever since the first night of the living dead that had the black actor survive the entire zombie night just to be accidently shot by the police the next day i could give a thohsand more examples but why its cleary part of the hollywood code no matter what kill the black guy. . . I just finished season 1 and I'm still waiting for Wells' comeback: "Hey guys, you thought I was dead? Well, I'm still alive!". I guess it just won't happen. This is the most ridiculous death I've seen since a while now. The character was strong and useful. But the reason I'm so pissed right now is the way they handled his death. He got killed and then.. nothing! No funerals, no tears, no sadness, no words from anyone... Like if is was no big deal. And that's actually the exact reason I thought it was a "temporary death". I thought "he can't go away like that, he's gonna return in a couple episode, for sure". Did the actor leaved on bad term? Anyway, I know this is only a show, but I thought it was somehow disrespectful. I've long since finished Season 3 but I really struggled to continue watching after Wells died. It was so unnecessary and such a waste of a talented Black Canadian actor (Lord knows there aren't many of those getting the recognition and opportunities they deserve). As the author of this post says, it was also a terrible waste of a character, not the least because with the history the show built in between Clarke and Wells, a romance between them would have been much more believable than the short-lived fling she had with Finn. Now that it's clear Well Jaha is not coming back I just want to know WHY. I'm in the episode y now and considering stop watching. It's turning into a teen series. Lost seriousness after Wills was killed. Also everything was so cold. Clarke wasn't even sad. I was expecting a beautiful love story between both after she realized that he was protecting her. Not just right after but with seasons. I cannot understand. I possibly not going to watch any other episode. New to the show and was disappointed in Wells death as well as Clarke's reaction to his death. She was angry but not deeply pained for this to have been her best friend since diapers. What a waste of a great character build up! I agree, I don't think I'll watch the show any longer. This is a well written article that you got here Deborah. I'm glad you took the trouble to do so. It was satisfying to see a character i can identify with. Acting with kindness to others, sense, and leardership. As i was raised to do. Even though i kind of failed in one of the three ^^. Unfortunately hollywood agenda caught up unshamely with the tv show and Wells, the role model anybody can look up to, was no more. Done. Over. Forbidden. I thought this was going to be a great series, that finally had a strong black male lead character in their late teens early 20's that I could look up too for a series, but sadly I was wrong....I've tried watching the series thinking he would come back but he hasn't and I've been searching all over trying to figure out why. The show really takes a hit after his death in my opinion and I refuse to watch anymore smh. What a waste of a great talent and potential series. You're likely to find the best service of any veterans in any nation. First contact with the infringing party is important and you ought to be polite and firm at exactly the same time. Click here to know more about Home | Solarmovie - Stream & Download Free Movies in HD - Solarmovie.date.